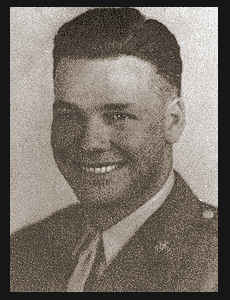 T/5 Hubert H. Pace, son of Mr. and Mrs. M. C. Pace, graduated from Levelland, Texas High School; husband of the former Cleo Neville. Entered Army in April, 1944, trained in Ft. Jackson, S. C.; served in the Philippines where he is now on duty. (as per original 1940's write-up).